Chances are your small business clients are scrambling to collect their contractors’ tax info in January, or rushed to print, label and mail 1099s before the IRS deadline. Now, QuickBooks® has a way to help with new features to save you and your clients time this tax season. At tax time, your clients can invite their contractors to add their own tax info. 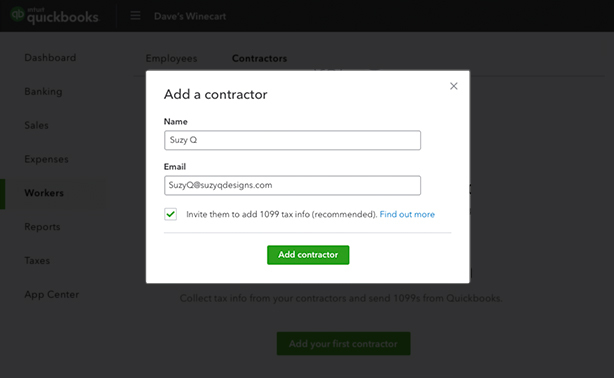 When they invite contractors to self-setup through QuickBooks, Intuit® protects their data and adds it to their profile. Clients request contractors’ tax info with a click. 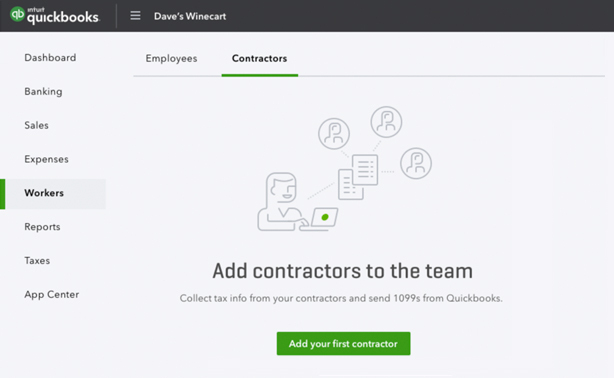 Contractors receive a link to a QuickBooks portal where they can submit their tax info. We’ll add the data to their contractor profile and notify the client when it’s done. No more spending time and money printing and mailing 1099s. When clients file through QuickBooks (fees apply*), Intuit will take care of the filing and delivery. 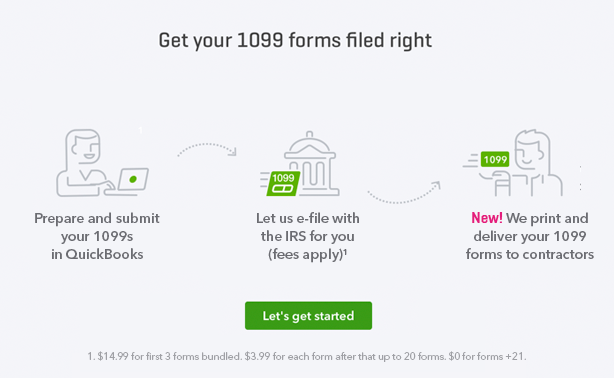 Clients prepare and submit their 1099s in QuickBooks. Intuit files them with the IRS. New! Intuit deliver copies to your contractors for no extra charge. Help your clients maximize their time by advising them of these new features!